We are starting the third week of BM#53 and for the next three days I will be featuring dishes that you can indulge guilt free. Yes the theme calls for dishes that are totally healthy and yet has the same punch! In this theme, one has to replace all the refined ingredients with healthy options. For today’s recipe, I replaced All purpose flour with Wheat flour. So ensure the cake tastes better, I used cocoa powder and served with chocolate chips. Would you believe that none were able to recognise what actually went in? Even the boys, because this had chocolate in it, devoured without a word. I haven’t told them what it was made with. Not that they understand, yet I don’t want to take chances. Rest of them know, and they were so surprised that this cake was made with wheat flour. It did have that slight sticky taste, however they said the cocoa overtook. To make it even more quick, I made it single serve and in microwave. Microwaving this cake is little tricky as you got to really check with short spurts. Still it does help a lot in getting you quick desserts! And don’t forget to check out the 2 Ingredient Ice Cream as well! 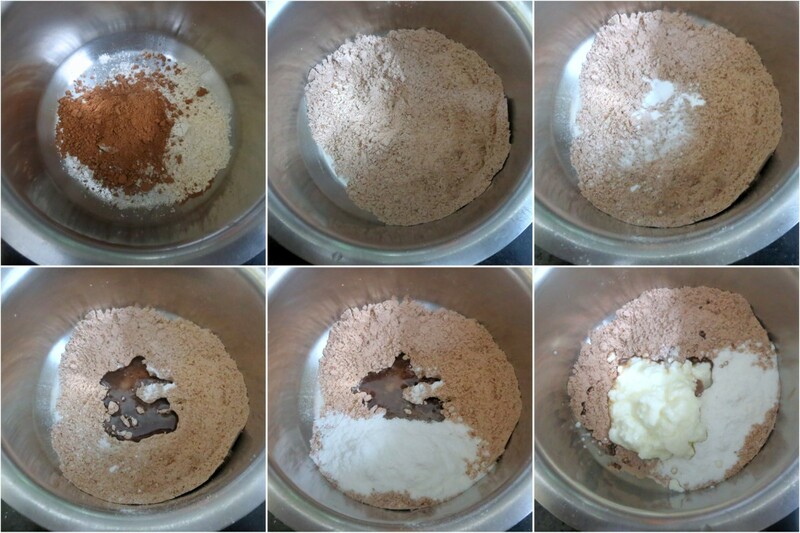 In a bowl, mix in the atta along with sugar, oil, cocoa, baking powder, baking soda, curds and olive oil. Mix everything together and slowly add the water to get a dropping consistency. Transfer to a Microwave safe mug and mw for 2 mins. Then again MW for a minute. Check and again mw for another minute. It took me totally 4 minutes for the cake to be done. Garnish with ganache and chocolate chips before serving. Baked Namak Para ~ Easy Snack for Travel! 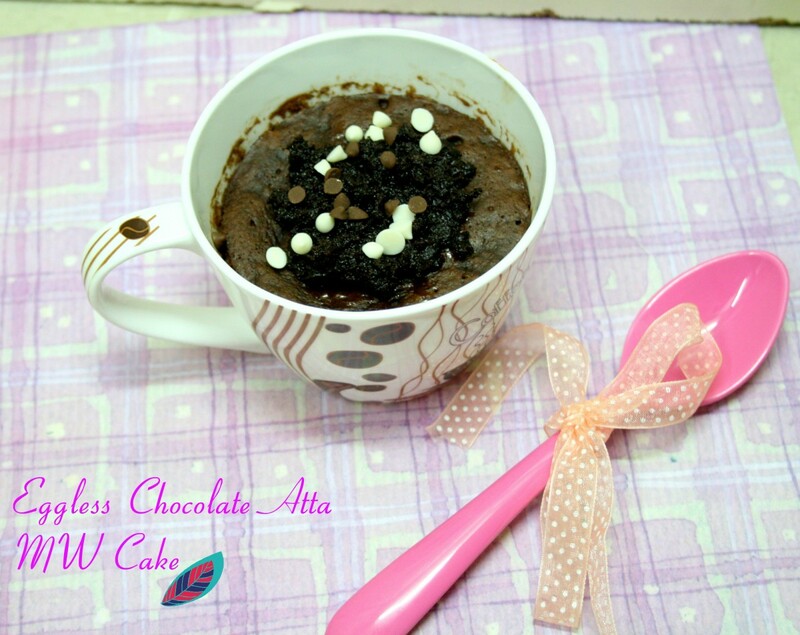 This a healthy & quick dessert for those sudden sweet cravings. Nice recipe. I love these mug cakes. This one sounds just as tempting. This definitely makes a quick and yummy dessert. All versions of mug cakes are delicious. 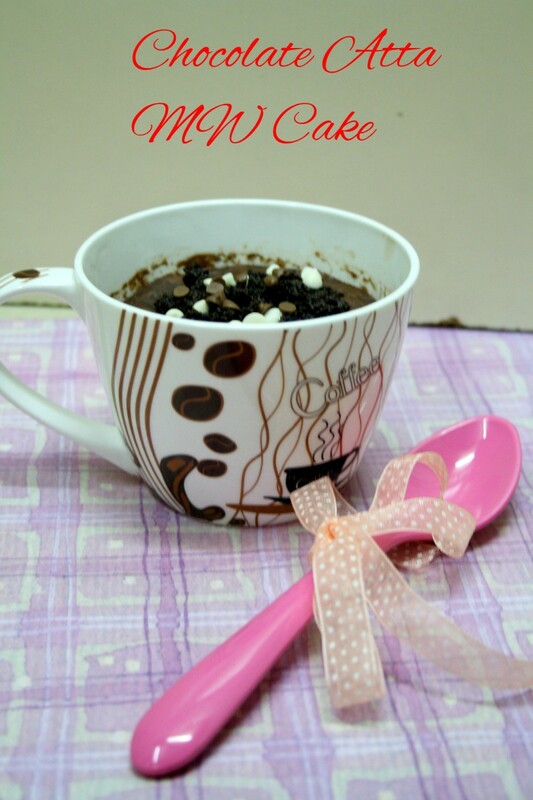 yum in mug..perfect midnight snack.. I have to try this now! Am sure the kids will love it too.So quick and so delicious!! I love one serving desserts , enjoy them by yourself! Perfect looking cake and so quick .Well done.. I can happily have this fabulous cake, prefect for sudden crave. This looks very easy and very delicious valli and with atta too. Bookmarked!! Delicous and yummy Valli. Chocolate has its own appeal. Using atta is a nutritious swap. 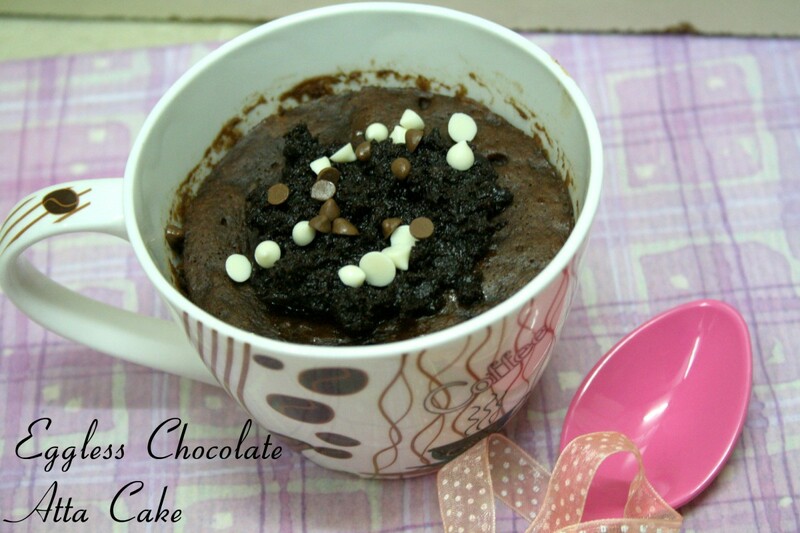 Love this chocolate mug cake recipe. Will try soon. Such a tasty looking dish from such simple ingredients…wow! 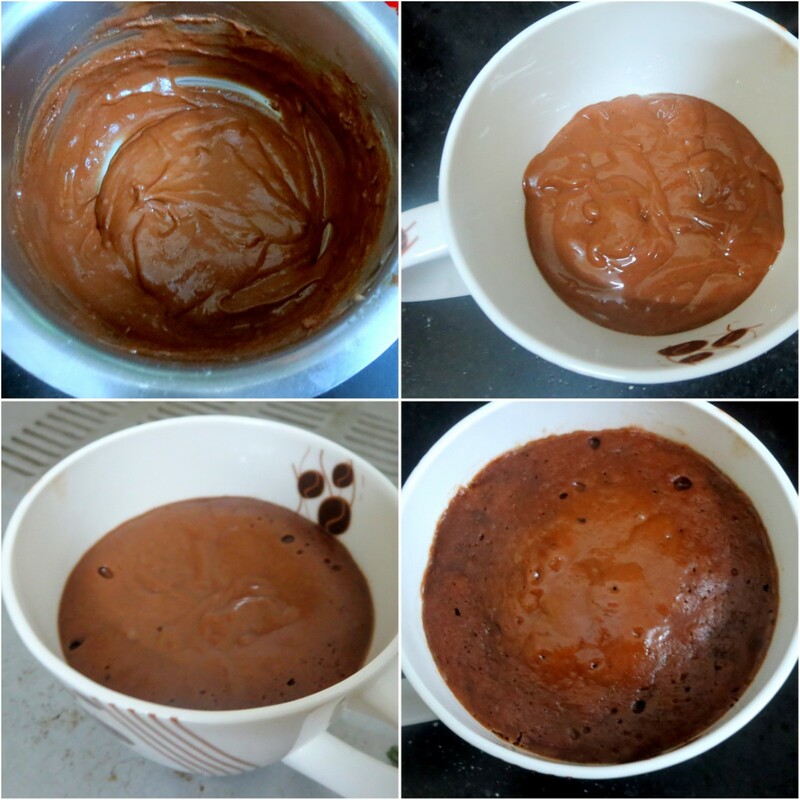 Tasty and healthy mug cake. Bell Pepper Cream Cheese Sandwich ~ Healthy Breakfast for Kids!